This document repeals and re-enacts all previous financial policies of the American Association of Law Libraries. The Association, as a not-for-profit organization incorporated in the District of Columbia, is entitled to exemption from federal and state income taxes under the provisions of Internal Revenue Service Code, Section 501(c)(3), except for any income generated from unrelated business activity. The Association’s Strategic Directions, adopted on a regular basis by its Executive Board, establishes the priorities of the Associations expenditures. The Executive Board has both authority and responsibility for all activities of the Association. Executive Board policies apply to all Association activities. The Board must approve all additions or changes to the Association’s financial policies. Once approved all financial policies will be incorporated in the next revision and distributed to the Board at its next meeting. It is the Executive Board’s responsibility to encourage desirable activities by engaging in open and positive discussion of all aspects, including the realistic expectation of the need for resources and the likelihood of acquiring those resources. All proposals and/or activities to be held under the aegis of AALL that will require funding or other resources from the Association or outside organizations must include a budget reviewed by the Finance and Budget Committee and approved by the Executive Board prior to implementation. If funding is to come from outside source(s), such funding must be secured before irrevocable commitments have been made. The Association’s fiscal year begins October 1 and ends September 30. The Association’s membership year begins June 1 and ends May 31. The Association’s year for program and committee appointments begins and ends at the Annual Meeting. The Executive Board will decide annually which activities will be partially or fully subsidized, and will set appropriate net revenue targets for different activities, depending on their nature, value to the membership, possible fee differentials between members and non-members, and revenue potential. The Executive Board’s decisions will be based on the priorities recommended by the Strategic Directions and on recommendation from the Finance and Budget Committee during the budget preparation. approve additions to the list of full-time regular positions. An independent audit firm shall be chosen by the Executive Board and the firm will present its report to the Finance and Budget Committee annually. The Finance and Budget Committee of the Executive Board has been established with the following composition and charge. Composition: Treasurer (Chair), President, Vice-President, and two Executive Board members who shall have at least one full year of Board service and shall be appointed for staggered two-year terms on the Committee. Staff liaisons are the Executive Director and the Director of Finance and Administration. Meet annually with the investment manager to review the performance of the Association’s investments. The Finance and Budget Committee must review all proposed changes or additions to the Association’s financial policies and prepare appropriate recommendations for the Board which must approve all additions or changes to the Association’s financial policies. Once approved all financial policies will be distributed to the Board at its next meeting. issuing an annual report to the members, which will include the audited financial statements. In order to assure a smooth transition, the Treasurer provides an orientation for the newly-elected Vice President and Treasurer. The Executive Director has the full and exclusive authority to oversee the operations of the Association’s headquarters. The Executive Director or designee negotiates and signs on behalf of the Association and any of its member units all contractual agreements. The Executive Director has full and exclusive authority to hire, compensate and terminate Association staff within the approved budget of the Association and to establish the job descriptions, duties, and responsibilities of all staff in accordance with such policies as may be established by the Executive Board. The Director of Finance and Administration shall oversee the daily financial affairs of the Association. The Director of Finance and Administration shall be the liaison between the Association and the auditing firm hired to review the Association’s financial records. The Director of Finance and Administration will prepare accurate and meaningful financial reports for the Treasurer. The Director of Finance and Administration will conduct an orientation for the incoming Treasurer in conjunction with the outgoing Treasurer. The Treasurer conducts a financial overview and orientation for the Executive Board. The preliminary budget is prepared by the Executive Director and Director of Finance and Administration with staff input, in accordance with established Board policy and to further the Strategic Plan. The Finance and Budget Committee reviews the budget guidelines, preliminary budget, assumptions, and justifications. The Finance and Budget Committee ensures the accuracy of all budget estimates. Budgets for specific activities are developed by the Executive Director and staff with the input of member groups, and in conformance with the Budget Guidelines. The Finance and Budget Committee brings a budget recommendation to the Executive Board. that the corpus of the Permanent Investment Fund is not diminished except in accordance with V.4 Permanent Investment Fund). If the budget is not approved as presented, it shall be returned to the Finance and Budget Committee with the Executive Board’s directions for revision and resubmission. The Executive Director may modify the budget within the approved ceiling for total expenses set by the Executive Board. Modifications and variances to the budget that exceed $10,000 or that materially change the content of the approved budget must be reported to the Executive Board. The Executive Board must approve any change to the authorized level of expenditure. Upon recommendation of the Finance and Budget Committee, the Executive Board may amend the budget at any time by a two-thirds vote. Planning for institutes, workshops and all other educational activities includes programmatic, financial and contractual issues. Therefore the decision-making shall represent the expertise, knowledge, and experience of different groups. Member expertise in substance and selection of faculty and design shall be complemented by staff expertise related to contractual, planning, educational, and financial needs.Responsibility for program content and planning rests with the Director of Education. Contractual responsibilities rest with the Executive Director and financial oversight rests with the Executive Director and the Director of Finance and Administration. Requests for refunds of registration fees remitted for educational events will be made in accordance with the following. All policies related to registration and refunds are developed, and disseminated, by the Director of Finance and Administration and Director of Meetings on an annual basis, and reviewed by the Treasurer. AALL reserves the right to cancel educational activities if there is insufficient registration or for other reasons. AALL is not responsible for cancellation charges assessed by airlines or travel agencies, or other losses incurred due to cancellation of an event. AALL does not pay AALL members for speaking or presenting at annual meeting programs. Programs held under the aegis of AALL, products, and services will be priced based upon their assignment to one of four categories: a) profit-generating, b) partially subsidized, c) fully subsidized, or d) break-even. Placement in these classifications will be reviewed by the Executive Board. At its discretion, the Executive Board may shift an activity from one classification to another. Uniform methods of accounting must be used, to the extent possible, to assure that all costs, direct and indirect, are accurately included in budgetary estimates and subsequent performance reporting. At a minimum, prices will be based on these factors. Other considerations will include market conditions and the Association’s revenue objectives. The Board, in conjunction with its approval of the Annual Budget, will be informed of the schedule of prices for all products and services contained in the Budget. The Executive Board will, upon recommendation of the Finance and Budget Committee, reserve the right to set: a) the annual dues level, as prescribed by the bylaws, Section 3. Dues., and b) the registration fees for the Annual Meeting and Institutes. AALL charges non-members a 50% premium on products and services. The Executive Director may make exceptions to this policy on a case by case basis for co-sponsors of Association activities, and for other organizations seeking reciprocal arrangements with AALL. To partially offset overhead expenses incurred in planning and coordinating the Annual Meeting and Conference, affiliate groups who are separately incorporated or who charge membership dues or generate income through other means will be charged a fee per event scheduled at the Annual Meeting. These fees will be set annually during the budget preparation and approval process. These fees will be pre-paid and non-refundable. Exceptions to this policy include recognized AALL entities (SISs, Committees, Task Forces, Working Groups, Registered Caucuses and Chapters) and other informal or ad-hoc groups who are not incorporated or who do not have sources of income. The Association uses the accrual basis of accounting. Unrestricted donations and grants are recorded as income at the time received. Restricted donations and grants are accounted for as revenue to the extent tha t expenses have been incurred for the purpose specified by the donor or grantor. Annual meeting expenses incurred in a fiscal year prior to the meeting are deferred and recognized as expense in the fiscal year in which the annual meeting takes place. Dues income, excluding the Association portion of the SIS dues, is deferred in twelve equal monthly amounts. All other income is recognized at the time of the event. Depreciation property and equipment are stated at cost and are depreciated over their estimated useful lives as established by GAAP (Generally Accepted Accounting Principles). Capital expenditures in excess of $1,000 are capitalized and depreciated. An inventory control system shall be maintained for all capitalized items. The Executive Board has sole authority to transfer among funds. The General Fund reflects the current fiscal year’s operating revenue, investment earning through its cash management activities and expenses for all Association activities. The Current Reserve Fund is an unrestricted fund governed by the Executive Board. Any excess of revenues over expenses in the General Fund at the end of a fiscal year reverts to the Current Reserve Fund. The level of the Current Reserve Fund shall be at least equal to the estimated risks in revenues for the year budgeted, as determined by the Finance and Budget Committee. The Executive Board shall determine a maximum level for the Current Reserve Fund if it appears necessary to limit its growth. The Executive Board may allocate Current Reserve Fund monies for non-precedent-setting expenditures. The Permanent Investment Fund (PIF) is unrestricted and governed by the Executive Board. Its purpose is to generate earnings for the program of the Association and to increase Association assets through reinvestment and capital appreciation. The Executive Board has authority to determine the level of the PIF. It shall be invested in a manner consistent with the Statement of Portfolio Investment Policy. The Permanent Investment Fund (PIF) shall be defined as the market value of the fund as certified in the annual audit for the fiscal year ended September 30, 1996 ($1,675,239) plus all compounded annual additions for each succeeding fiscal year which are based on the compounded value of the Fund multiplied by the Gross Domestic Product deflator (GDP) for the twelve months ended each September 30th thereafter. Any excess in the market value of the Association’s investments greater than the certified value of the PIF, shall be eligible for transfer to the Current Reserve Fund at the discretion of the Executive Board and shall be subject to the policies governing the Current Reserve Fund. The PIF as defined above shall not be diminished, except by a three-quarters vote of the Board. Donor Restricted Funds are received by the Executive Board for specific purposes, such as scholarships and awards. Restrictions on use of the funds are set by the donor of the specific sub-fund. Board Restricted Funds are created by or received by the Executive Board for specific purposes. Restrictions on the use of the funds are set by the Executive Board or donor for the specific sub-fund. The role of the investment manager is to manage the Association’s investments and to report to the Executive Board on the results. The manager is to carry out the Executive Board’s policy in investing the Association’s funds. The funds in the portfolio consist of: 1) the Current Reserve Fund, 2) the Permanent Investment Fund, 3) Restricted Funds. The investment manager makes regular reports to the Director of Finance and Administration and reports to the Finance and Budget Committee at the winter meeting. The Executive Board sets policy as to how the investment manager is to invest Association funds. It is the responsibility of the Treasurer and Executive Director to monitor the reports of the investment manager to ensure that the Executive Board’s policies are being followed. At any given time, the Association will have on hand a certain amount of cash that is not required to meet immediate obligations. This cash should be managed using the following guidelines. At the Executive Director’s discretion, cash may be invested through the investment manager to achieve the highest rate of return. A minimum of $50,000 is kept in a money market account for liquidity. The Director of Finance and Administration may manage short-term operating cash under the supervision of the Executive Director. Each committee is eligible for an allocation to be used for administrative costs such as telephone and printing. If a committee needs additional funds, the Chair shall submit a budget request at the time of the annual budget preparation. Committees have authority to spend up to the amount allocated to them. Association funds shall not be used for food and beverages for committees at the Annual Meeting. SIS funds are maintained at Headquarters with other Association funds and are accounted for by standard accounting practices. Requests for payment must be submitted to the Director of Finance and Administration and must include appropriate receipts. 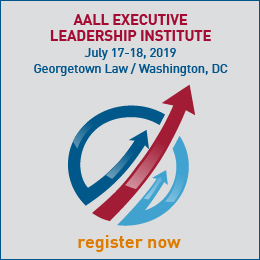 Commitments to pay, including contracts of all kinds, must be generated by AALL’s Executive Director. 50% of the dues paid for SIS memberships is allocated to the respective SIS with the balance retained by Headquarters to cover the expense of maintaining financial records and activity, and other administrative functions in support of the SIS. SIS’s will be credited with the dues income twice a year. SISs may carry forward fund balances from one fiscal year to the next. SISs may spend in a given year an amount equal to their previous year’s fund balance plus the anticipated revenue for the year. If an SIS wishes to request additional funding from the Association, it should do so in the Association’s regular budget cycle. If the AALL Executive Board has advanced funds other than dues for an SIS project, the SIS shall reimburse the Association for all appropriate direct and indirect expenses, including AALL’s current indirect cost rate. When Association resources are required, the Executive Director will work with the chair of an SIS to arrive at the most practical and economical way to accomplish the SIS’s goal. The Association will assist with the design and online publication of SIS brochures every three years. If a contract for a commercially-published SIS publication specifies that royalties will be paid, the royalties will be credited to the SIS. All contracts must be signed by AALL Executive Director. If AALL has incurred any production costs, the SIS will reimburse AALL the actual costs plus the current indirect cost rate. Local chapters of the Association are separately constituted and are not included in the financial statements. Their decisions and actions are not binding on the Association. Because AALL recognizes the need for a coordinated fund-raising effort, the Executive Board has delegated the following responsibilities to the Executive Director. All solicitations for funds for all purposes must be coordinated by the Executive Director before potential donors are contacted. Including, and not limited to, all sponsorships and granting agencies. At each annual meeting, AALL entities plan and host their own social events and other activities that may be fully sponsored or partially supported by an exhibitor, Chapter or a member’s institution. When there is support from an exhibitor, a Chapter or a member’s institution, AALL entities retain responsibility and authority for the event, and they work closely with the supporter to ensure appropriate recognition. 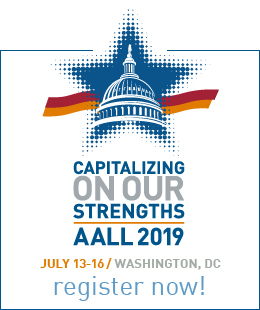 In addition to activities planned and hosted by AALL entities, some affiliates and exhibitors may choose to host their own social events, such as receptions, dinners, and other activities. These are not under AALL’s auspices and thus are not considered AALL sponsorships. All formal funding proposals less than $10,000 will be reviewed by the Executive Director for appropriateness of the donor, adequacy of the budget, financial implications for the Association, coordination aspects, and general level of risk. All formal funding proposals for $10,000 or more will be reviewed by the Finance and Budget Committee for appropriateness of the donor, adequacy of the budget, financial implications for the Association, coordination aspects, and general level of risk. The Executive Board shall approve all such proposals. The Executive Director signs all formal funding proposals. A copy of all such proposals is retained on file at Headquarters. Gifts and donations may be used to support revenue-generating activities; they may be taken into consideration in setting prices such as registration fees.